Dan Johns | Vandewalle & Associates, Inc.
Dan Johns is an Associate Planner at Vandewalle & Associates. Over the past five years has contributed to a diverse array of economic development and redevelopment planning projects in communities throughout the Milwaukee and Madison metro areas, Door County, Wisconsin, and other midsized cities including Racine, Wisconsin; Muncie, Indiana; and Waterloo, Iowa. Dan is a skilled real estate market analyst with professional expertise in data management and quantitative analysis, pro forma development, tax increment financing, technical writing, developer recruitment and other in-depth project research. He also holds a real estate sales license in the State of Wisconsin. A native of Flint, Michigan, Dan has studied urban history and is passionate about creating place-based economic solutions for Midwestern communities, particularly those with an industrial legacy. He currently manages TIF district creation and development incentive analysis for the Wisconsin communities of Oak Creek, Oregon, Mount Horeb, Monona and Horicon; providing technical guidance for the key financial mechanisms that allow communities to induce and manage growth. He has written or contributed to more than a dozen successful grant applications for clients throughout the region, as well as provided assistance with comprehensive planning and zoning amendments, downtown plans and statutory redevelopment district creation. Dan also offers economic impact analysis and communications services for several private-sector clients in the Madison region. 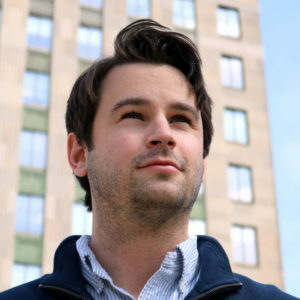 Prior to joining Vandewalle & Associates, Dan served as a Graduate Student Instructor at the University of Michigan–Ann Arbor, for an urban planning course concentrating on data analysis and applied statistics using the open source “R” software package. He also worked at the Grandmont Rosedale Development Corporation as a Community Engagement Coordinator and the Assistant Market Master of the Northwest Detroit Farmers’ Market, where he took an active role in marketing, volunteer recruitment, accounting and grant management. Want to connect with Dan? You can email him here.